"St. Gallen" lost three consecutive games, though all three games the team played in the party, but gave way with a total score of 10:2. The team is currently in fifth position in the championship, and the series without victories is four games in a row. Basel in the last round wins over the "Aarau" with the score 6:0, and thus guests continue to be on the first position in the championship, with the team consistently plays as the guests and in his field. Doubts are raised personal meetings, where "Basel" can't score for two games in a row, and because of this it is possible to observe such a high rate from the bookmakers for the guests. However, this Cup meeting, and some of the nuances here are really worth to remove on the far shelf. 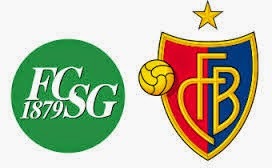 We have solved the semi-finals, so Basel will be determined, and "St. Gallen" after three defeats in a row but they may not show the desired game.